For a short weekend break fewer places in the world are better situated from Bangkok than Penang. Hop on a 1-hour flight and you’re right smack in a charming island. Penang is a tropical Eastern delight and has an indescribable charm. Located on the Northern tip of the Malaysia, Penang is connected to the mainland by a bridge. Once an important Straits of Malacca trading hub, its distinction is Georgetown, the UNESCO heritage site from where you can see the Malaysian coast glittering by night. The capital city Georgetown is a gem. Think old colonial shophouses, breezy sidewalks and trendy cafes and boutique hotels and hostels lined on graffiti-art decorated streets. Many of these buildings come with wonderful courtyards filled with blossoms and blooms reminiscent of bygone times. 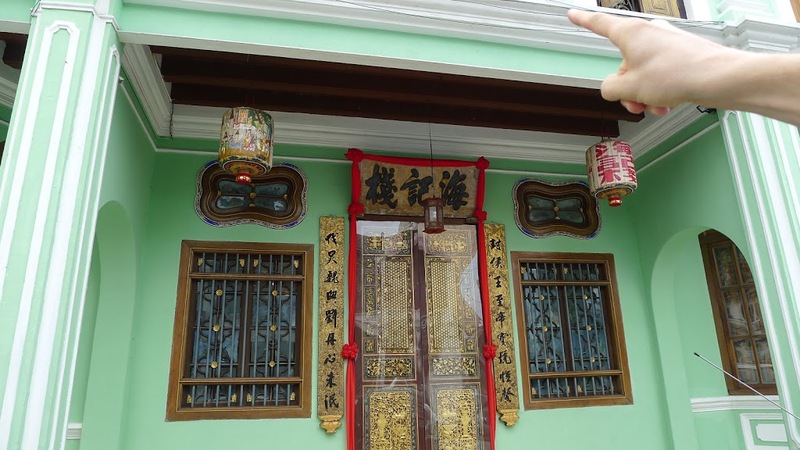 In fact, the city pays much homage to the Peranakans or Baba Nyonyas, the ethnic group of Chinese-Malays or Malay-Chinese who lived there in abundance and who were (are) significant contributors to the city’s heritage and society. The beauty of Penang lies in its mix of Eastern and Western influences. The place is rich with Malay, Chinese and British culture (Malaysia having once been a colony of the Imperialist Great Britain). On arrival, we headed to Little India’s Lebuh Pasah Road, Penang’s hub for the East Asian culture. Walking past the beautiful mosques and trifling through the rows of colonial-style shophouses put me into a nostalgic mood. I thought about the past and how things were like back then when people didn’t have cars or buses to travel in, but instead used their two trusty feet as guides. Penang perfectly brings back a sense of the past with its historic city building and old relics recalling the ancient way of life. The best way to get around the city is by foot or bicycle/scooter, which you can rent for a day from the various shops in Georgetown. A trip to Little India brought us on a chance visit to a hostel that used to be a traditional Chinese medicine shop. Trinkets, abacuses and old paraphernalia involved in the trade adorned the hostel, which sits conveniently on the main street in Little India. The place is half hotel, half museum, a mix of 20th-Century and 21st Century living. This is where the peculiarity of Penang lies: in its confluence of old-world charm and new world prosaicness; East and West. 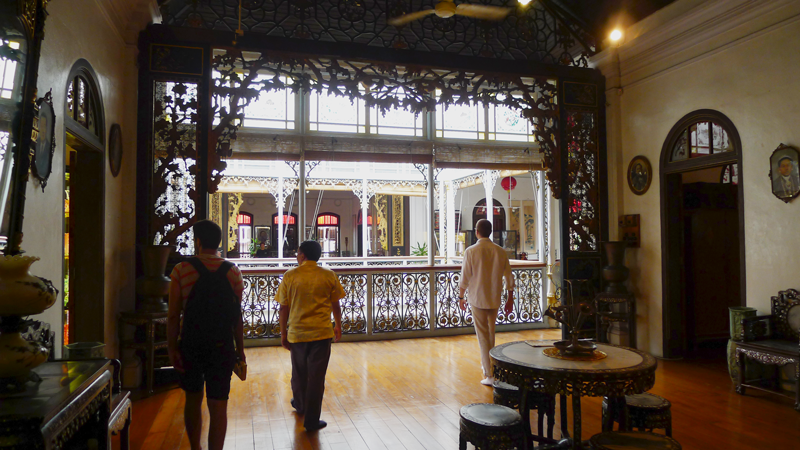 Further East, a visit to the Peranakan Museum, a well-restored and maintained 19th– century wealthy family home, is necessary. The courtyard opens up the whole house, separating it into four distinct corners, yet bringing everything together with a focal point in the centre of the courtyard space. Upstairs, well-varnished wooden floors feature in all the rooms, which the verandah conjoins. A visit to this museum gives a peek into the past and what it would have been like to live in one of these great houses. Included in the visit is a guided tour, after which one is allowed to roam freely and browse the various artefacts on display such jewelry, clothing and miscellaneous household items. 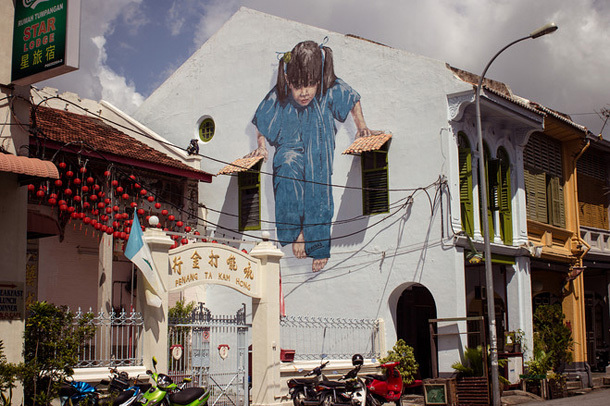 Art isn’t only available in Penang’s popular museums, the town is filled with street art, which has made such a hit with photographers and snap-happy tourists. Every street corner and turn brings up surprises of one kind or another, and all the paintings have some reference to the city’s history. Take a trip down Muntri Street, where well-to-do Chinese men once kept their mistresses and where one can find plaques and signs detailing this interesting history, or saunter up Armenian street to catch of some amazing street art that really brings the place to life. Georgetown is much celebrated for this, so widely chronicled in magazines and travel blogs it is. The artists are not all local, but are selected by the Penang authorities to depict scenes of life both past and present. Other than the streets and buildings on the streets, art is also visible in the buildings’ architecture. Many restored former mansions are visible from the streets and the exceptional ones are either museums or boutique hotels. Seven Terraces is one of them. With courtyards, tall trees, wide open spaces, the Seven Terraces hotel surprises with its serene atmosphere. Given the display of art and furniture in the hotel itself, one would think that it would be lively, but this isn’t the case because guests not staying at the hotel are not allowed to visit. It’s all about exclusivity here. In the hotel’s main restaurant, mother of pearl and other traditional exquisite pieces comprise of the setting, making it an oppressive but also impressive place to dine. 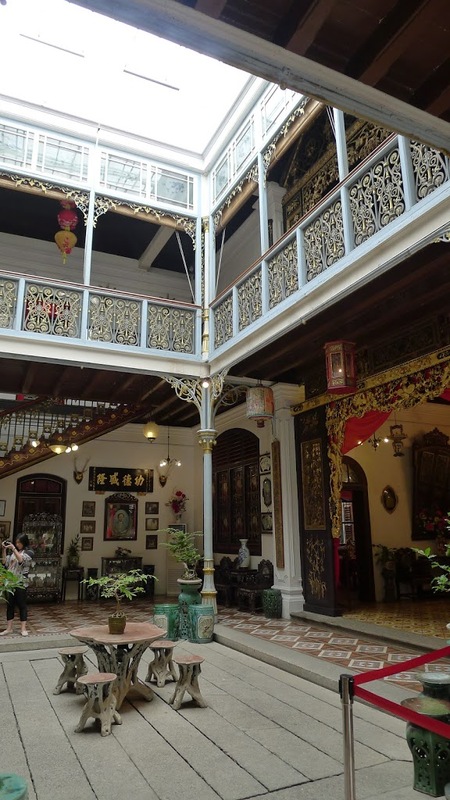 Another such boutique heritage hotel is the Cheong Fatt Tze Museum, or the Blue Mansion. Aptly named ‘Blue Mansion’, the hotel is formerly owned by the aforementioned Chinese businessman and politician. 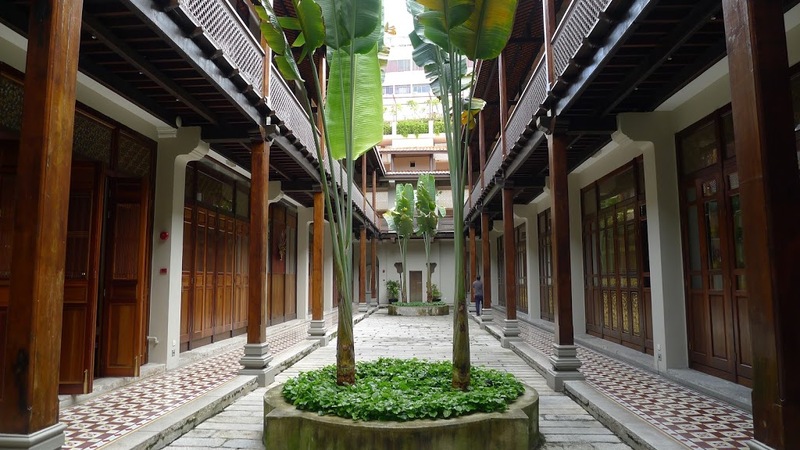 It was converted into a hotel and boasts 5 courtyards and represents the convergence of Hakka and Teochew styles, as well as bearing building materials from the West. The restoration, which was completed in 1996, is a commemoration of Chinese artisanship and local craftsmanship. The hotel even offers daily tours of its public areas for those interested in the building’s architecture and history. A trip to Penang wouldn’t be complete of course, without trying its legendary street food. The best way to savour Penang’s culture is to try some of its local food. Affordable, delicious and convenient, street food is a Penang must. Indian, Malay, Chinese cuisine all come together in a varied tasting menu in a hawker centre or market. The wafts of smoke and freshly fried noodle, steamed rice cakes and boiled meats delighted our senses as we walked through Penang’s streets at night. We had done some research before and so knew what the local favourites were. Penang has many websites and blogs dedicated to its street food. The most popular of the street food markets is on Chulia Lane, where you can find various food stalls serving all kinds of street goodies. We tasted some of the food but didn’t have time or stomach space to try everything, and there is neither length nor space to detail the local dishes Penang is famous for. But a trip would not be complete without tasting Penang’s famous fried noodles (Char Kway Teow) and Indian delights such as Nasi Kandar and Rojak, especially if you are in it for the spice. The variety of the street foods in Penang would be enough to keep any traveller busy for at least a week! From modernity to ancient histories, Eastern to Western culture, street art to food, Penang clearly has it all. A small boutique hotel with spacious, well-appointed rooms and a charming garden view. Spanning two floors at a private street end, the hotel serves a delicious international breakfast and has free Wi-Fi as well as a rooftop swimming pool. The hotel group owns several other properties in the vicinity, including the more exclusive Seven Terraces hotel. One of Penang’s few boutique heritage hotels, 23 Love Lane is a quiet, court-yard-centric boutique building that houses several rooms in a open area connected by the hotel’s large garden. The décor is modern with a twist of the traditional Peranakan. The rooms are spacious and comfortable with all the modern amenities for the today’s seasoned traveller. 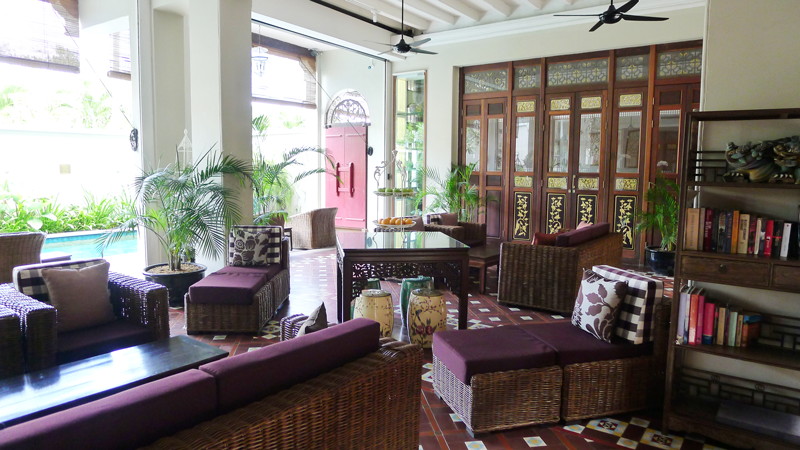 Located on the Penang cost on the Eastern-most side of Georgetown, the E&O hotel overlooks the Malaysian mainland. The large colonial-style 18th Century Hotel has a lot of grandeur and has all the amenities of a 5-star hotel. Being a large hotel, it’s good for big groups; it regularly holds conventions, meetings, weddings and other special events. The hotel also has a pool, a bar, restaurant, shop and various upmarket facilities. It also serves a superb breakfast and has spacious rooms. Feast on delicious Peranakan delights at Perut Rumah, a well-established local restaurant. Order the signature vegetable rice dish called ‘Nasi Ulam’, which is a concoction of ‘ulam’ (a creeper plant), mixed with dried prawns, onion and carrot slices, fried with rice. This unique dish really hit the spot in terms of flavour and healthiness. A walk through little India would not be complete without a visit to this legendary place. Packed with locals and tourists alike, the restaurant, which prides itself on its fast service and delicious food, has expanded over the years to hold several floors for service. The lunch time crowd brings a bearable queue – check out the fresh tandoori chicken and roti freshly baked out of the tandoor at the entrance and you will understand why. Next Bourgogne – the key to heart of French cuisine?